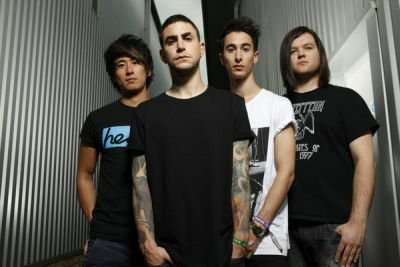 Modestep are the next big thing in UK dance and quite probably in rock too. Bold statement? Sure. But we think they can back it up. On the final day of Leeds Festival in 2012 and following a massive set, we chat to three members of the band: Josh Modestep [production, vocals], Matt Modestep [drums] and Nick Modestep [guitar] (we’re missing DJ Tony Modestep) about playing the festival, their new record and plans for the future. S] How was the set? S] How do you enjoy these shows in Yorkshire? S] What fuelled that passion for blending rock and dubstep originally? S] You guys have some pretty cool video tour diaries that are used to keep fans up-to-date with what you’re up to both on and off stage – how important is it for you to have that medium of expression? S] Are you different people on stage? S] Are there any bands outside of yourselves that you think are doing the crossover music thing really well? S] The Modestep Radio thing that you guys do is pretty cool – how did that get set up? S] What kind of ideas are present on the debut full-length album you’re releasing? S] Is there a song outside of the singles like ‘Sunlight’ and ‘Show Me A Sign’ that you feel like perfectly defines where Modestep is as a band right now? S] Are there any movies and films that inspire the music of Modestep? S] What about plans for the rest of this year? S] What are the key ingredients to Modestep’s success in recipe format, if you please? S] If you could rip out the soundtrack of a current film that’s out there and replace it with the sound of Modestep, what film would you choose? S] Do you have a message for the fans that came out to see you in Leeds today? For more information visit the official Modestep website.